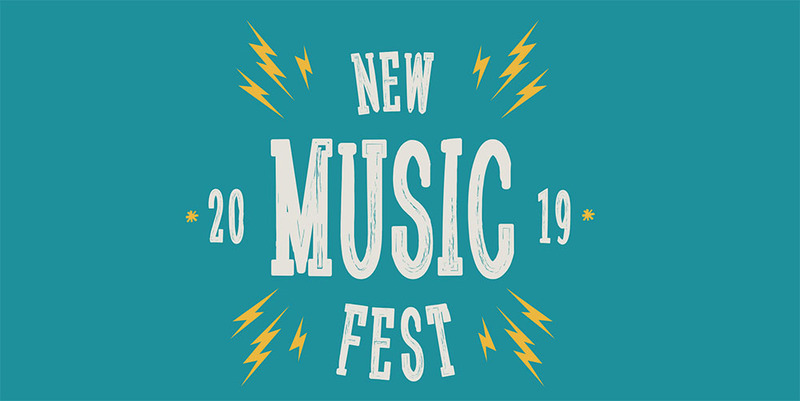 Tickets are now on sale for this year's New Music Fest, taking place on the weekend of 21-23 June at Reigate Rugby Club. Now in its sixth year, the festival will feature familiar favourites like Sarah and Chris' fantastic food and bar, Richard and his ice cream bike, Carole and her crêpe van, loads of space for kids to run around and play safely, sunshine, FREE camping, our resident DJ Salford 6 and, of course, wall to wall live music from a wide variety of talented performers. This year we are extending the schedule to include the Friday evening, so there'll be even more music, even more food and drink and even more fun. Once again we've kept ticket prices on a par with previous years and throughout April you can take advantage of our early bird discounts. Students now come within the U18 price band too and you can choose between the Friday evening, Saturday/Sunday or All Weekend. Under 5s go FREE, camping is FREE and a Family ticket admits 2 adults and up to 4 U18s. Scroll down for information on tickets for parties of 10 or more. Order now via the ticket service on the right of the page. Every year we donate a large share of the profits from the festival to charity. In the past we have made donations to the local YMCA and this year, for the third year running, our charity partner is Loveworks. This local charity has been running projects to support local people in need since 2008, including food banks to alleviate food poverty. Their Way2Go project helps young adults to build emotional resilience through personal development coaching so they can progress towards a successful future in further education or the workplace. If you want to come and take a pitch at NMF, just send us an email telling us about your business and we'll take it from there. Pitches start at £25. If you have a business or organisation that you would like associated with NMF and the promotion of live original music and music in the community, we'd be interested to hear about it. There are various sponsorship opportunities available. the event itself attracts over 700 people and the pre-publicity runs for several months, including emails, leaflets, social media campaigns and banners, all of which will carry sponsors' logos. For more details, please drop us an email and we'll get back to you. If you're planning a kids party or a significant birthday celebration this summer, why not hold it at NMF? You'll have the venue and music taken care of, easy access to food and a bar, or bring your own picnic. The atmosphere is a given. You can take advantage of our Family tickets or if it's a large group of 10 or more, drop us an email and we'll do you a deal. The food and drink on sale at NMF is superb and sensibly priced, but you are welcome to bring your own. However, please note that for the future safety of rugby club users, glass bottles and cans may not be brought into the festival. Bags will be checked on the gate and any items that constitute a danger will be removed and held for you to collect when you leave. The venue, Reigate Rugby Club, is often confused with Old Reigatians Rugby Club. Please don't make that mistake or the music will seem rather quiet and you'll have a long wait for a drink. You want Reigate Rugby Club in Colley Lane. Click here for a map. On foot: The best way to get there is on foot - a 20 minute walk from Reigate town centre and railway station. Check the map for your quickest route. By car: Regardless of what your SatNav might tell you, avoid driving up Colley Lane from the A25. That end of the road is being resurfaced and will not be passable. Instead, approach via Somers Road/Manor Road and Coppice Lane. Parking is limited and is on a first come, first served basis. If you can walk, please do. Please drive very carefully and follow the instructions of the parking attendants. Please pitch tents where requested, observe the ‘teenage’ and ‘family’ camping areas and show consideration to other campers. Please keep off the newly seeded training pitch, which looks like a giant sandpit. Please take note of the fire points. Fires, including disposable bbqs, are not permitted anywhere in the grounds. Under 18s are the sole responsibility of their parents or guardians. If you need help of any kind, please go to the Help Point in the middle of the arena. New Music Fest is our annual summer festival, an outdoor showcase of the acts that perform at our regular New Music Nights, plus a few others. Our associate partner is Dragonfly Studios, whose owner Tom Hughes provides outstanding recording facilities right here in Reigate, plus top class live sound engineering. Tom and Dragonfly are an intrinsic part of what we do at NMN. The festival takes place in the beautiful grounds of Reigate Rugby Club, against the picturesque backdrop of the North Downs. Now in its sixth year, New Music Fest has become a major attraction on the local music and social scene. Dragonfly Studios, our associate partner and live sound engineer, provides outstanding recording facilities right here in Reigate, plus top class sound for live events, Dragonfly and its owner Tom Hughes are an intrinsic part of what we do. We also receive valuable support from Reigate College Music the Borough of Reigate and Banstead Arts Council. If you would like to apply to play at NMF, send us an email and tell us what you do. We don't pay performers but, unlike other festivals, we don't insist that you sell hundreds of pounds worth of tickes for us either. We do support you in every way we can, including publicity leading up to the event (see our video channel) and a professional recording (sound and video) of one of your songs, for you to use for your own promotions. Plus, of course, the opportunity to play in front of 700+ people.